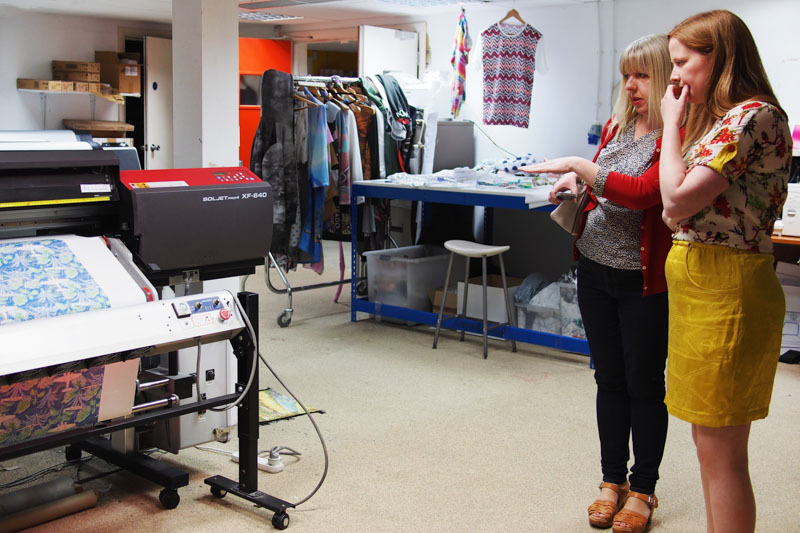 A bunch of us sewing bloggers took a trip to Harlesden last weekend, to check out Contrado‘s amazing mini printing empire. 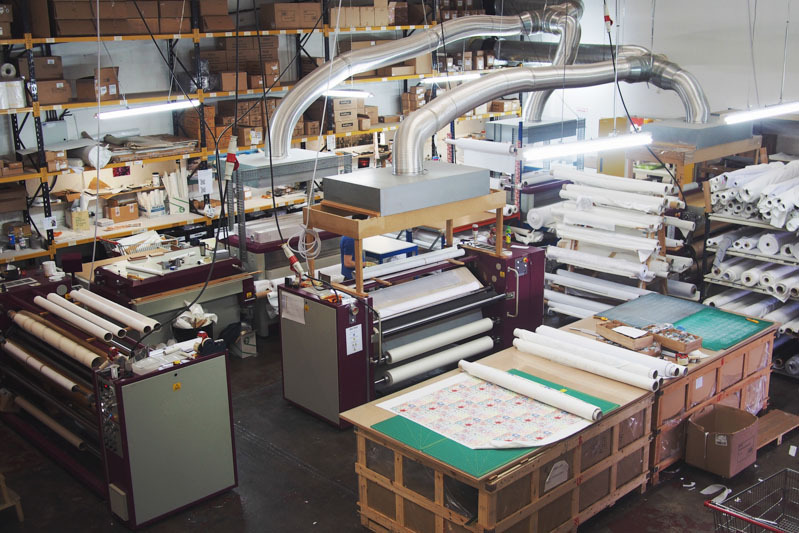 Contrado started as a tiny family business called Bags of Love (which still runs, through a separate website), printing photos onto bags in the early days of the internet, and has grown year on year, expanding their range and bringing as much of the processes and production under one roof as possible. 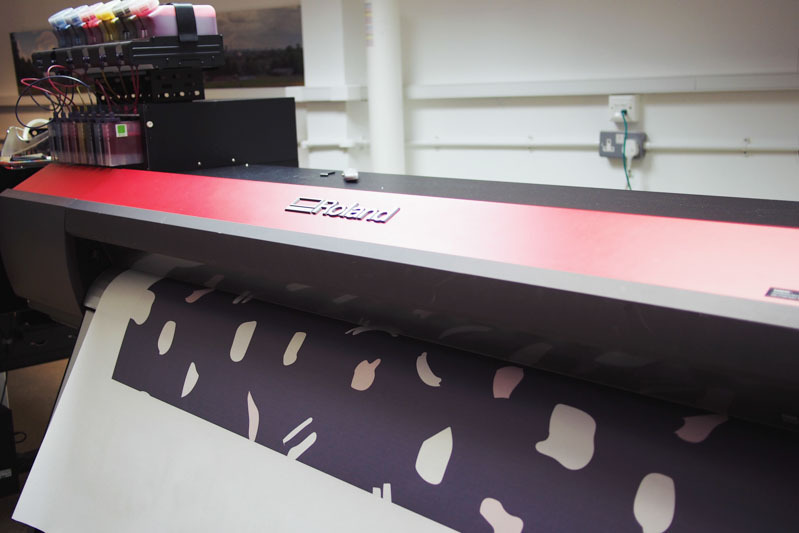 Now they have Contrado as a specialist arm focusing on fabric printing: they print onto over 75 substrates and have a loyal customer base in students, creatives and home sewers. 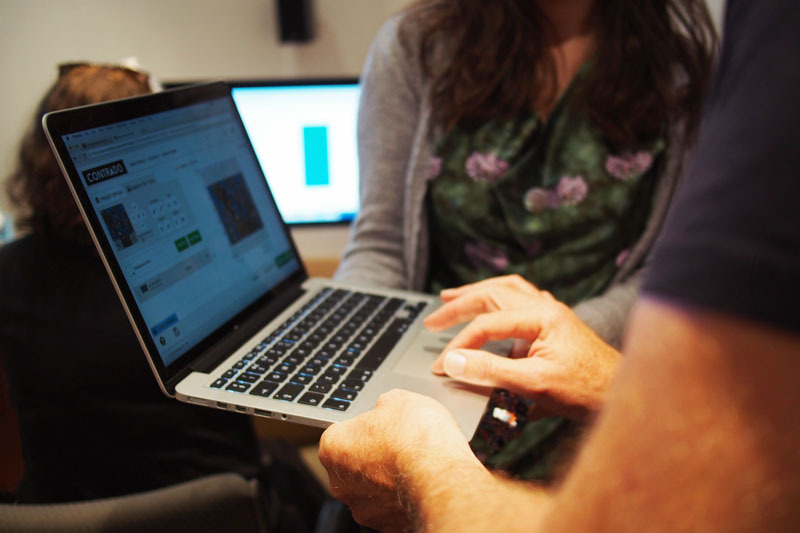 After this company background from founder Chris Childs and a rundown of how the online design software works, we were let loose to upload our designs and send them to print. 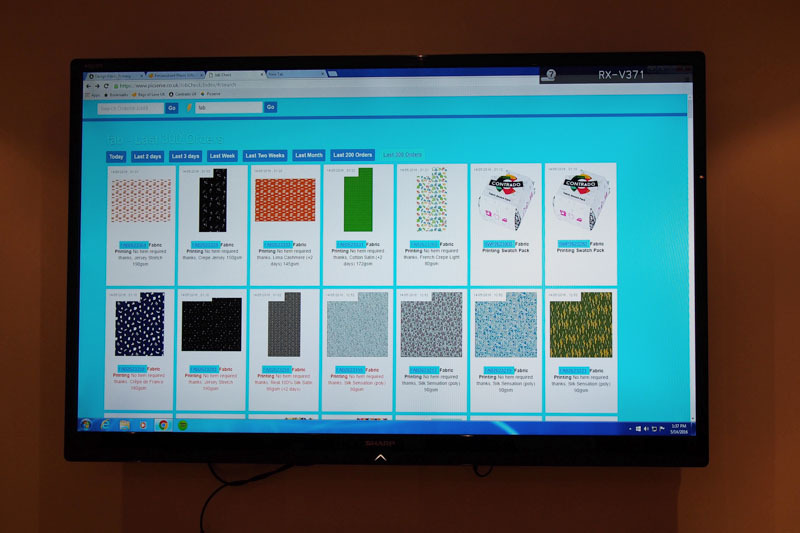 It was pretty exciting to see the orders come in live on the big screen. 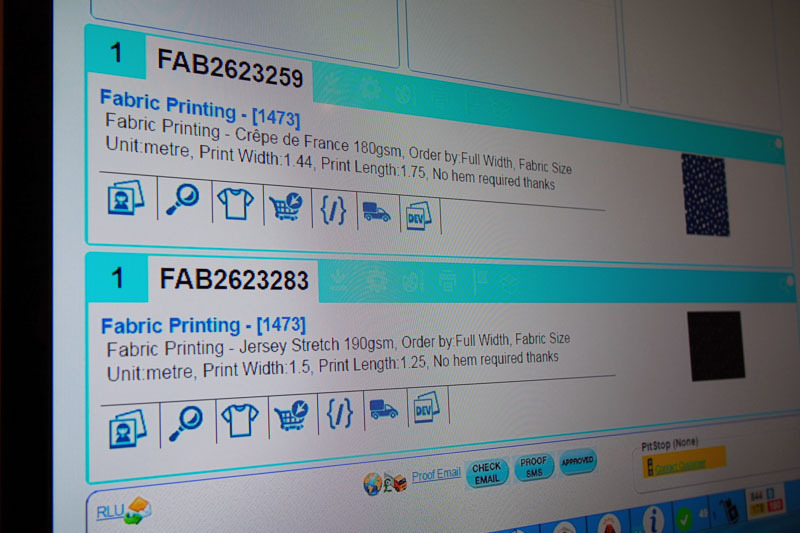 There’s some impressive software powering the company’s printing process (they employ seven engineers) which means that the layplans can be as efficient as possible, resulting in a minimum of wastage. They can also turn around orders in two days due to everything being automated as much as possible under the one roof. As a startup and tech nerd I found all this fascinating and inspiring. 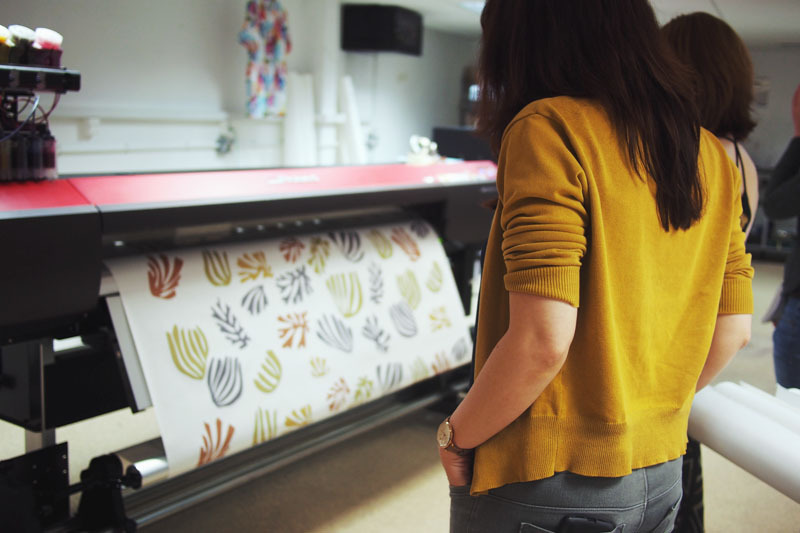 Then it was down to the printing room to see our designs come to life. 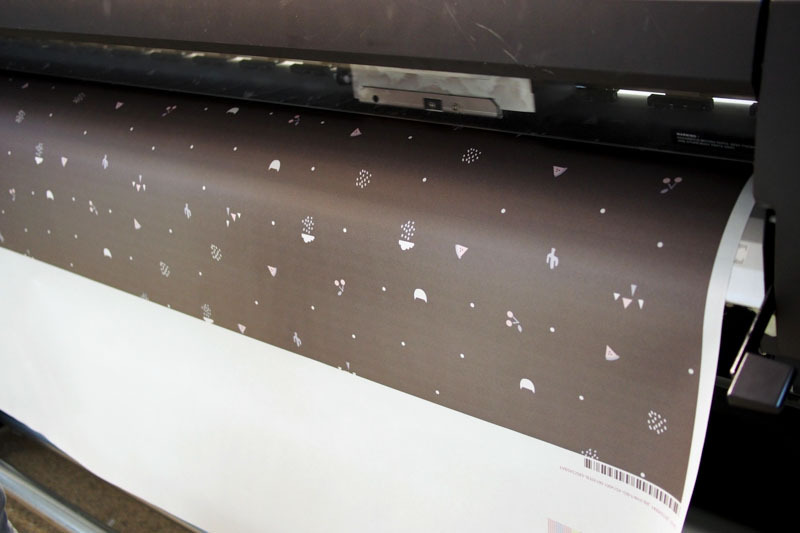 Depending on the substrate, some fabrics are printed directly and some are printed onto huge transfers before being heat-bonded to the fabric. The we took a walk around the rest of the factory floor. 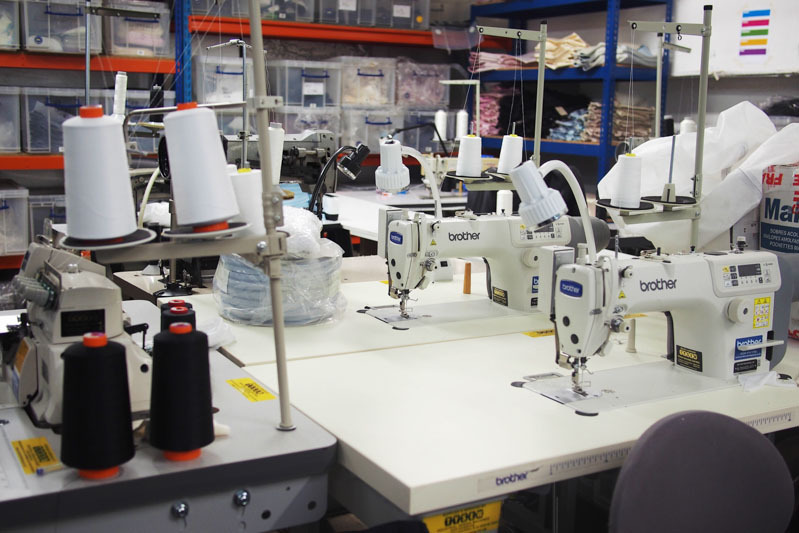 They have in-house pattern cutters and sewists to make up a lot of the readymade garments they sell through sister company Bags of Love. 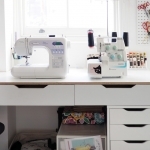 Cue lots of cooing from the assembled sewing bloggers over the lovely industrial machines. 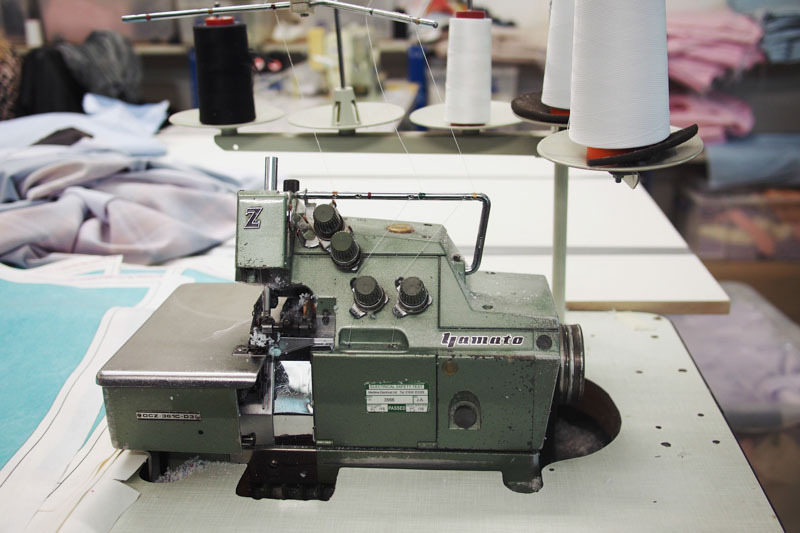 Back to the printing room because our final fabrics were starting to be revealed! 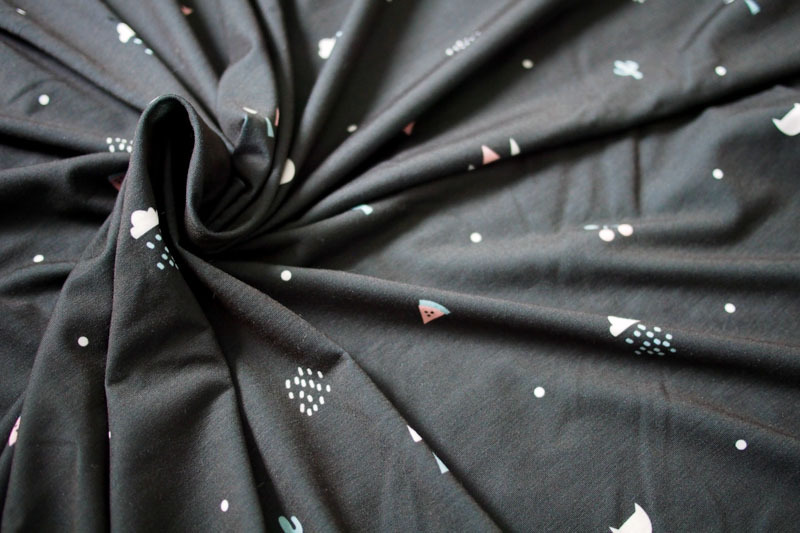 Here are the two fabrics I was lucky to get printed on the day, back at home and prewashed ready to sew. I gave myself no time at all to design anything fancy, so knocked these up in the morning before I left. 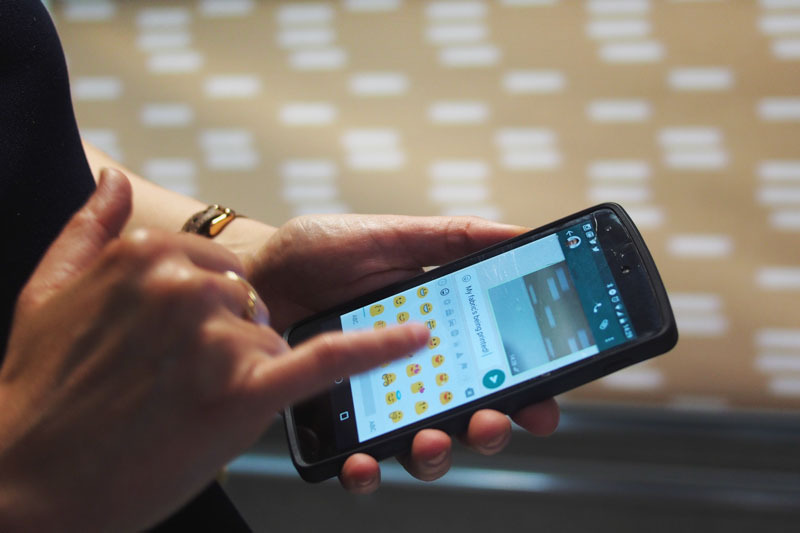 The ditsy emoji-type print is on 190gsm cotton jersey and the blobby abstract one is on French crepe. 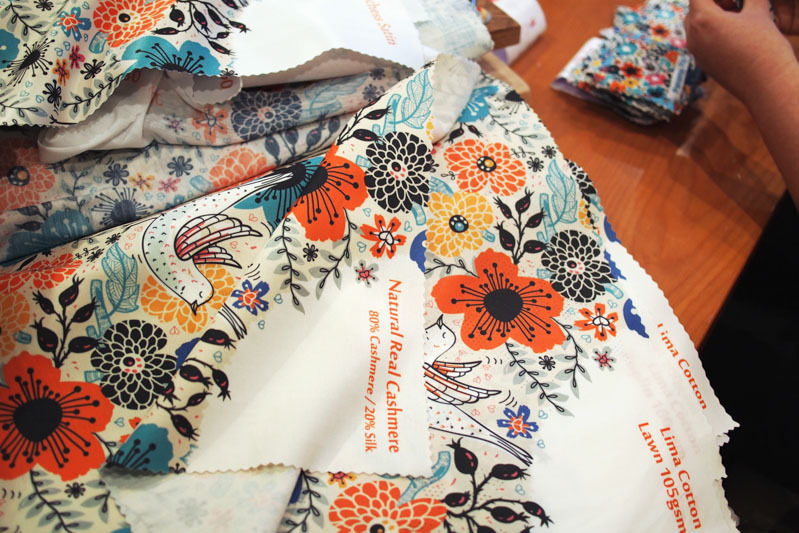 I’m so thrilled with the fabrics, they’re without a doubt the nicest fabrics I’ve seen custom-printed and the substrates both have a fabulous handle and softness. 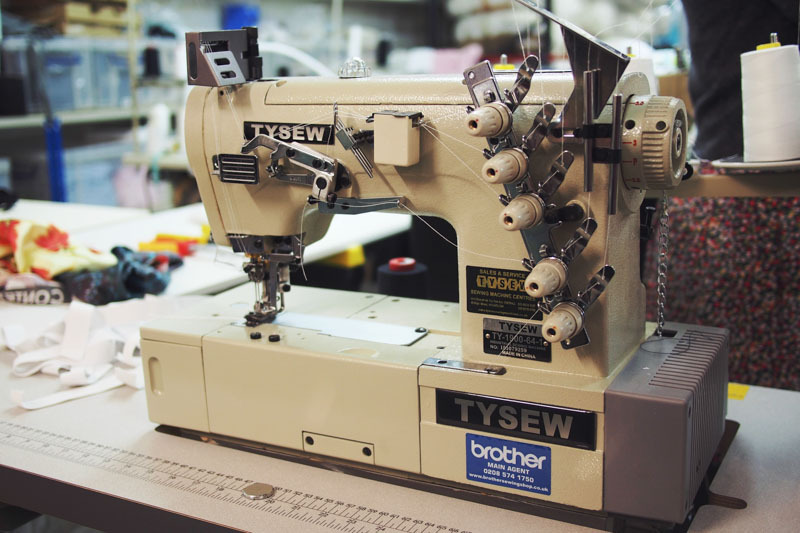 I can’t wait to sew with them! 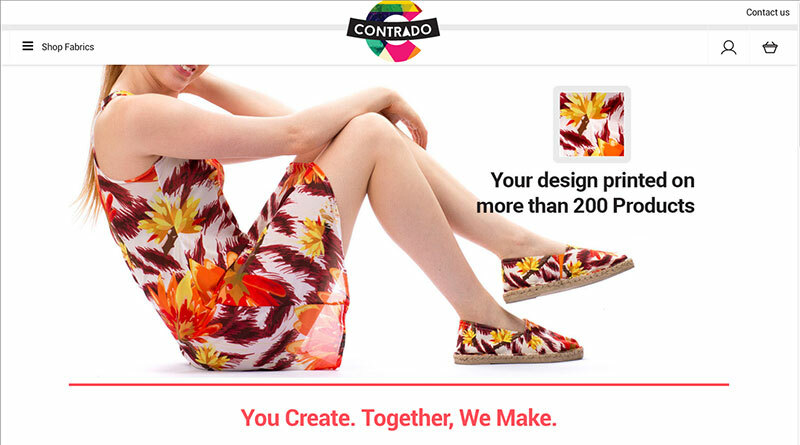 I’m also excited to see the next phase of Contrado because they have exciting plans to build a marketplace of user-submitted designs that you can order direct – if I knuckle down and design some prints with a bit more time I’d definitely put them up. 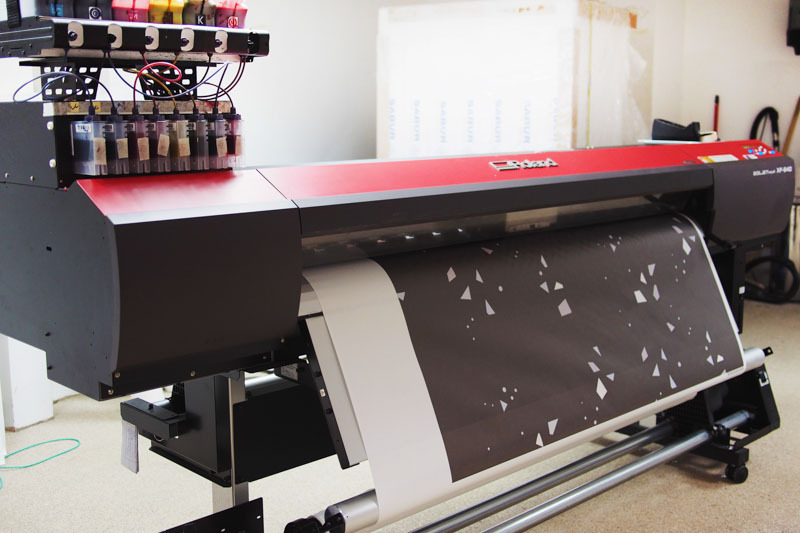 For now though, Contrado‘s fabrics start at only around £14.50 a metre so if you’re in the market for printing unique fabrics in the UK I couldn’t recommend them more. 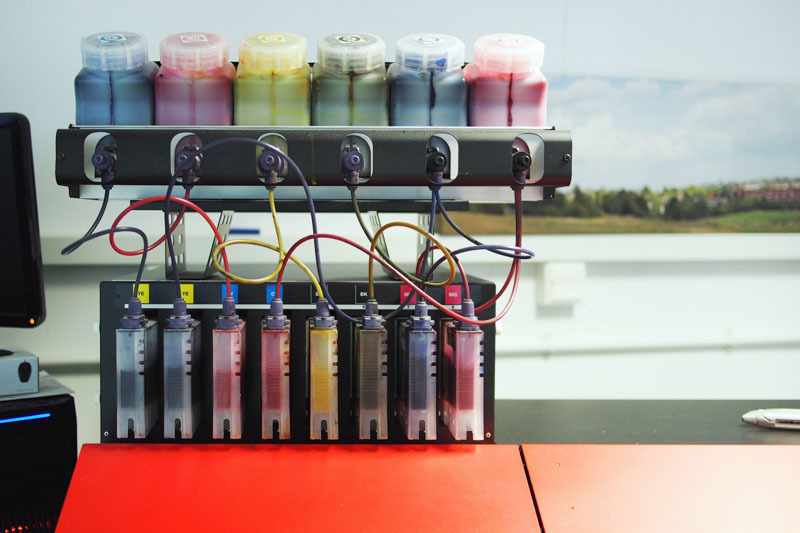 Thank you so much to Contrado for the tour and chance to sample the printing process, to Rachel and Kate at The Fold Line for organising the trip, and my fellow bloggers Marie, Janene, Jane, Elena and Charlotte for being excellent company. What a great day out! 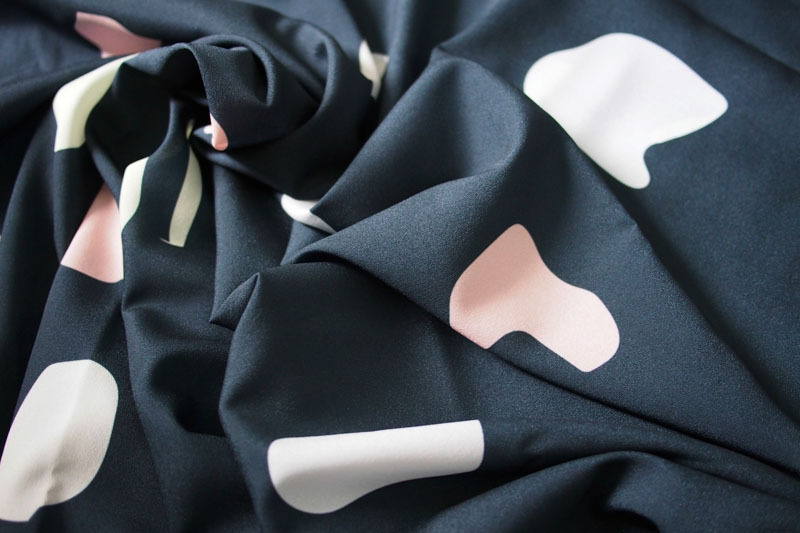 Really like the cashmere/silk fabric – don’t think I’ve seen that combination before. This is fascinating! Thanks for sharing the photos. What a fascinating day – it looks like an amazing place. I’d love to hear how the fabrics wash in terms of colour retention. I think they’ll be absolutely fine due to the sublimation print process, but I’ll definitely report back. Contrado is great but they are horrifically expensive, if you are a start up trying to sell these the business model just doesn’t work. 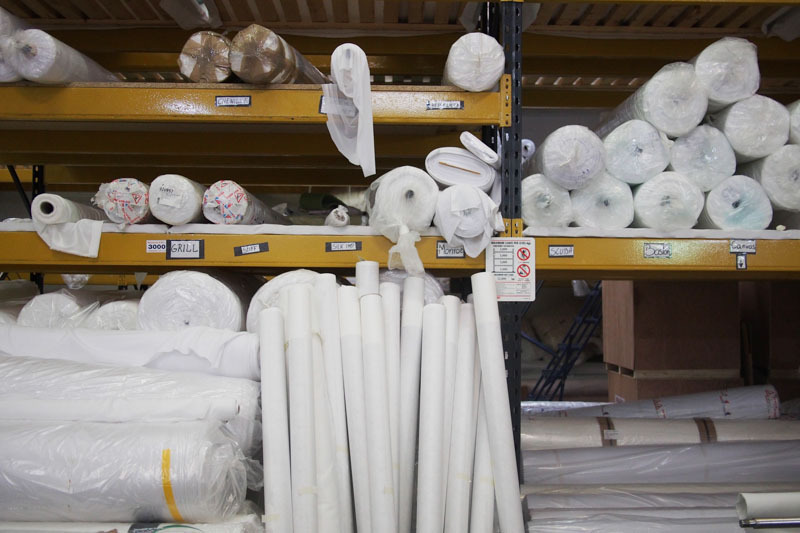 They now have a wholesale account which gives a BIG discount for new starters + free fabric remnants!